There’s an endless variety of team building activities on offer, but how do you know what will be the best fit for your team? With over 10 years experience providing successful, fun team building activities for Melbourne businesses, we share our knowledge and insight to create the perfect team building experience for you. Fortunately, Melbourne is a city that offers more than its’ share of options within these broad categories, From the diverse culinary melting pot of flavors, to the cultural events, to the unique characteristics of its; suburbs, this city is fertile ground for experiences. Make your employees feel psychologically unsafe, or force them to share too much about their personal lives. They definitely won’t appreciate this! Keeping your employees on their toes with a variety of new team building activities and experiences is excellent for their thinking, and by extension, fantastic for your business. It turns out that people who are open-minded, and open to new experiences literally see things differently those that aren’t. In the context of business, what this means is that these open-minded individuals can identify problems from a distance, as well as unique opportunities for the business, and areas of innovation. This is an incredible asset in this day and age, where cut-throat competition between businesses is rife. Creativity and innovation offer a chance to get ahead of the crowd by leaps and bounds, and insightful, open-minded individuals offer the key to a businesses reaching the top of it’s field. Combining over 10 years of experience within the industry and a creative, strategic approach to team building, we’ll take the time to learn what it is that your team needs to gain from each activity. 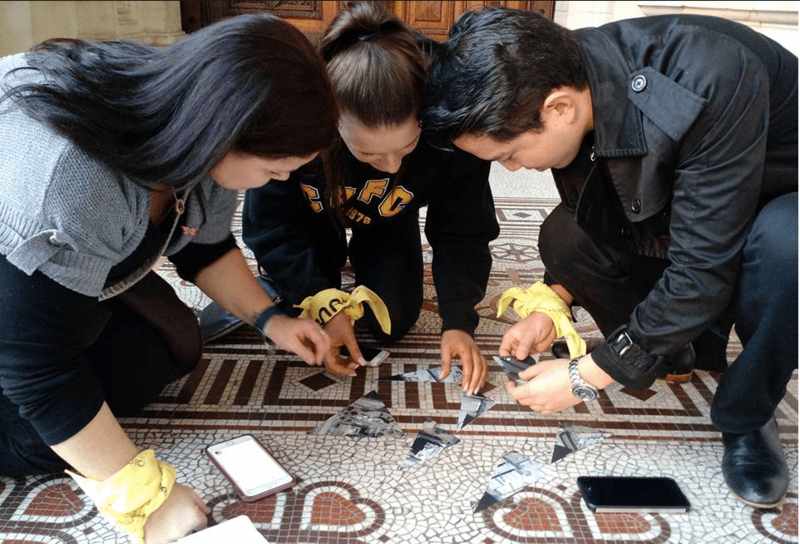 This gives us the insight to create tailored experiences that combine fun and function, ensuring that your unique team building event will be memorable and successful. Our custom events are the most unique team building activities Melbourne has to offer. Inquire with us now to tailor an unforgettably fun team building experience. Want The Most Out Of Team Building Events? Head Outside!